It is also the preferred wavelength for treating infant eyes with ROP because it penetrates through the tunica vasculosa lentis, the vascular network surrounding the lens. Absorption by those vessels is associated with higher risk for cataract formation. Yellow Laser light offers the clinician high absorption in hemoglobin and negligible absorption in macular Xanthophyll. 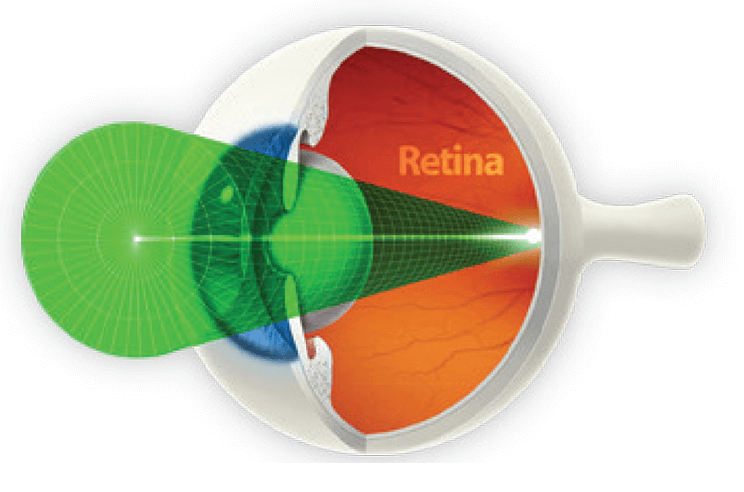 In addition to easily penetrating through nuclear sclerotic cataracts, the yellow wavelength is desirable when it is necessary to penetrate through fluid, such as when treating a retinal detachment or tear. It also penetrates mild pigmentary disturbances and so is well suited for conditions where the target lies in a region of previous photocoagulation treatment. One of the main advantages of yellow laser light stems from the fact that it approximates the peak absorption of hemoglobin, xanthophyll in the neurosensory retina. Therefore, it is recommended for focally treating extrafoveal microaneurysms or other vascular lesions in the macular region that may cause macular edema. In addition, yellow laser produces significantly less light scatter, allowing for more efficient treatment and requiring lower energy levels to achieve desirable clinical outcome; this creates significantly less discomfort for the patient during and following the laser procedure. Voice Confirmation – The Vision One is equipped with a unique voice confirmation feature, which allows the user to change any of the key parameters, while receiving a vocal confirmation of the dialed choice. This feature allows the operator to adjust parameters also during treatment, without having to shift view from the treatment site to the unit’s control panel. CaseSaver Mode – Dependability is of crucial importance in both the OR and Office Setting. Dual Fiber Port – Changing delivery devises is fast and easy. The Vision One remembers the settings that were last used with the selected delivery device allowing for a smoother transition. Memory Settings – The Vision One has five programmable memory setting that can be set to remember the most used treatment parameters. Smart™ Fiber Technology – The Vision One features Smart fiber technology that allows the laser system to distinguish an LIO from an endoprobe or LaserLink and will automatically adjust power settings to increase safety parameters. The Lumenis Smart fiber technology also alerts the surgeon and staff if the physician eye safety filter, footswitch and delivery devices are not properly attached to the laser console. Touch screen & remote keypad – A color touch screen and illuminated remote keypad put all operations literally at your fingertips. Easily adjust parameters or instantly switch between treatment wavelengths. Conveniently position the remote control on either side of the slit lamp, or in a sterile cover for the operating room. 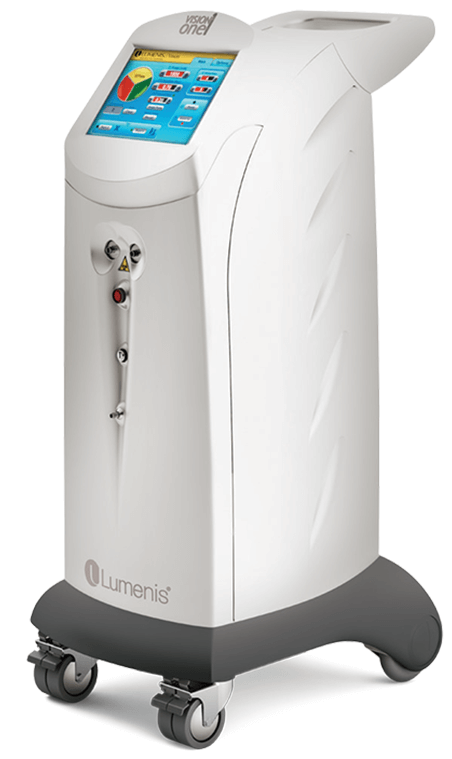 Optimized view of treatment site – The Lumenis ClearView™ filters’ photopic balanced coating eliminates color distortion of the treatment site while optimizing white light transmission or “brightness” of the physician’s view. Compatibility with a wide variety of delivery devices – The Vision One is compatible with a wide variety of accessories and delivery devices – meeting you specific preferences in the outpatient clinic and the OR. 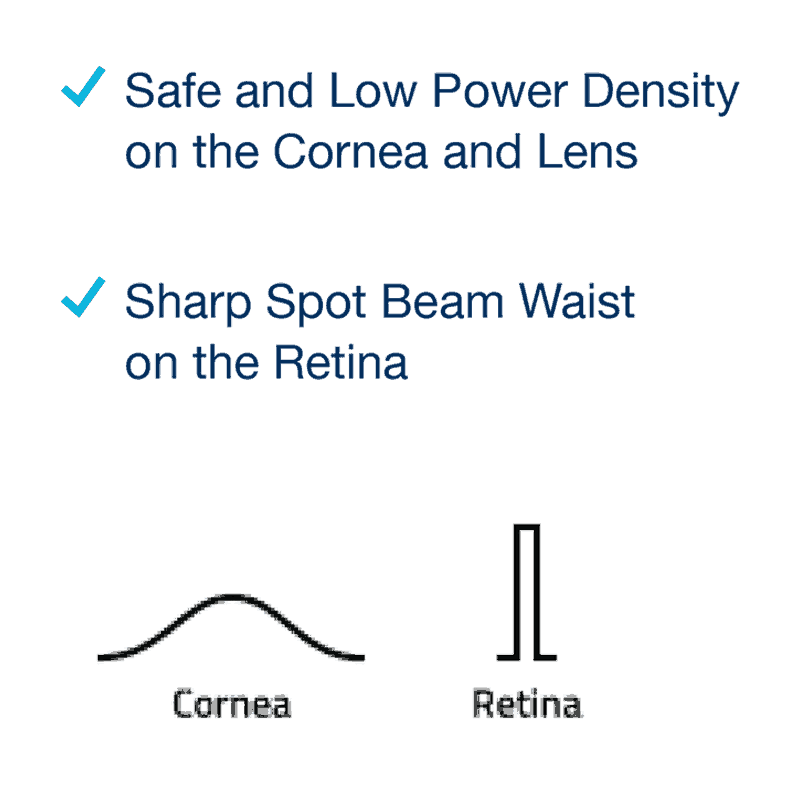 Lumenis also developed an integrated laser slit lamp with the retina specialist in mind. 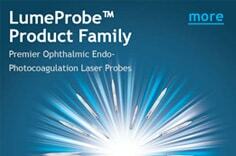 Choose a multicolor Laser Indirect Ophthalmoscope that suits your preferences. Both our Heine and Keeler models are rugged, lightweight and equipped with the most advanced laser delivery technology in the market. The Lumenis family of LaserLinks will transform most commercially available slit lamps into advanced laser delivery devices with superior optics capabilities. Lumenos lnSigh1 TM | Lumenis 1000 | LaserLink HS adapter for compastible convergent optics slt lamps LaserLink Z adapter for ZeiSs SL 130 and 30SL Sillamps | Laser indirect Ophlhalmoscope (LIO) Endoprobe | Array TM Laserlink TM. Smart and PowerEase TM Footswitch Comprehensive selection of standard.straight curved. aspirating, and illuminating endophotocoagulation probes in 20. 23, and 25 gauge Sizes. Leica@ and Zeiss@ : moving and fixed safety filters for surgical microsoopes.